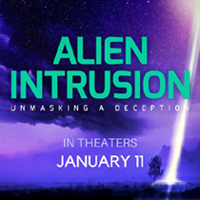 As we covered in Part 7, the alien deception is a strong delusion, and the majority of the world is already believing this lie. But there may be an even greater element of the alien phenomenon in the End Times, more than even today, a prophetic fulfillment that would indicate this Deception may get Worse and more Large scale. “An offer by visitors from an advanced civilization on another planet for assistance to a perishing human race confronted with war, crime, violence, pollution, global warming, genocide, and a host of other ills that man’s rebellion have produced will seem irresistible. That the mainstream scientific community is taking the UFO question seriously, as evidenced by the heavy-funded, government-sponsored SETI programs, demonstrates that we must look at the subject in a very serious light. Some Christian researchers have noted a striking similarity between some passages of prophecy in the Bible and the alien deception. I don’t personally like making firm prophetic doctrinal statements, or letting arguments rest based on debatable interpretations from the book of Revelation. But in case any of the proposed theories below could be correct, I would feel remiss in not presenting for your consideration what Christian research has theorized about how aliens and UFOs might fit into fulfillment of Bible prophecy in the last days. 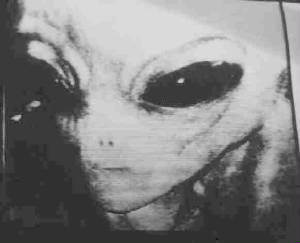 These are the 3 main topics in which aliens and UFOs have been proposed to have some significance. 1. 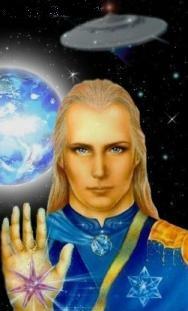 Aliens in the Book of Revelation? 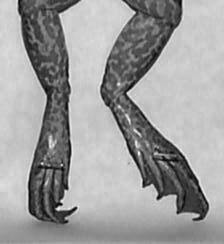 Their description is of these frog-like entities leading the kings of the earth together, prior to Christ’s return, preparing for the battle of Armageddon. “1. 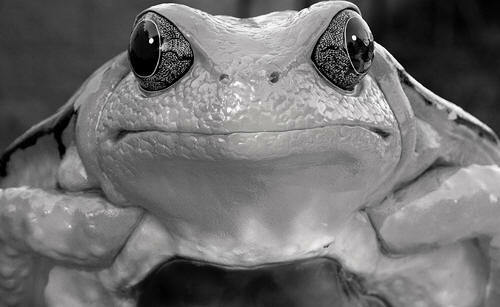 Frogs and “gray aliens” both have large eyes, and similar facial features. 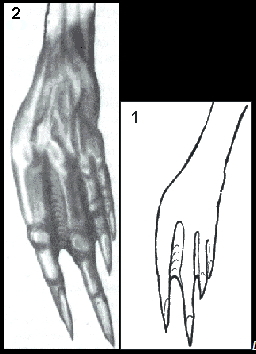 “In “Space Travelers and the Genesis of the Human Form”, by Joan D’Arc, she says, “…the alien gray… fingers are long and thin, and generally with rounded pads or bulbs at the end… There are usually 4 fingers and a thumb, but sometimes 3 fingers and a thumb are noted.” Frogs also are known for having rounded pads or bulbs on their fingertips… Below a frog is compared to a sketch by abductee Colin Wright, who sketched a “gray alien’s” hand based on what he saw during his “alien abduction” experience in 1992 with a “gray alien”. 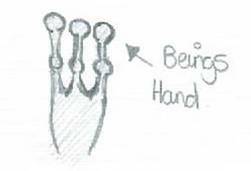 The resemblance is striking, note the long fingers and bulbs. 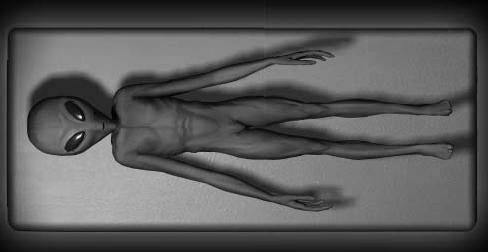 Wikipedia says of gray aliens, “Head generally described as hairless, sometimes a slight fuzz. 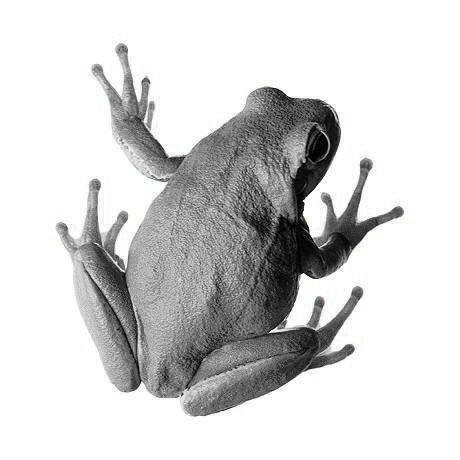 Bodies are hairless.” So both “gray aliens” and frogs are hairless. “5. 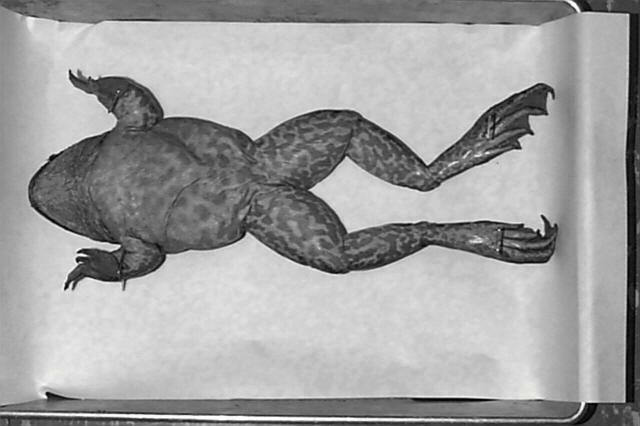 Both frogs and “gray aliens” absorb through their skin. The Bible seems to teach that at some point in the fulfillment of end times prophecy, many Christians are going to disappear as they are taken out of harm’s way, from the coming wrath of God. 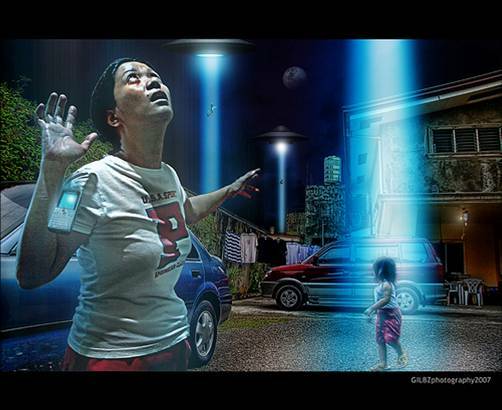 It has been proposed that non-Christians who remain left behind might explain the disappearance of these Christians by saying they were removed by UFOs. “Ask yourself a question – If at some point in the future, assuming you hadn’t read this article, or had no training or belief in Christian doctrine, and millions of people instantly disappeared from the face of the earth, while driving, flying airplanes, from right in front of your eyes or from your bed, where would you think they all went? “I was definitely convinced that the Bible was true, that Jesus was, and is, God incarnate, and that most of the other Biblical teachings of the end times I’d heard and read made sense. Still, millions of people disappearing at once? And history continuing, for possibly years? It was a big pill. If you’re reading about it here for the first time and having trouble believing it, trust me, I understand! “No, I wouldn’t walk away from my belief in Jesus, nor could I dismiss a portion of the Bible just because I had trouble with it. I prayed for revelation, for understanding. Where would the world governments say all the people went? Then one day, it hit me. Standing outside of a grocery store, while running an errand with my older brother, God answered. “…All over the world religions would be in turmoil, here are these aliens and they are claiming to have created us, that means they are claiming to be our God in a sense… All the religions would be forced to reconsider their ideas. “Many people already have gotten the idea into their heads that the Earth may have been visited by aliens in the past, or that aliens might have built the pyramids, etc., have been visiting us for a long time, or even that aliens seeded life here on earth. This theory is known as “panspermia” or “exogenesis”. 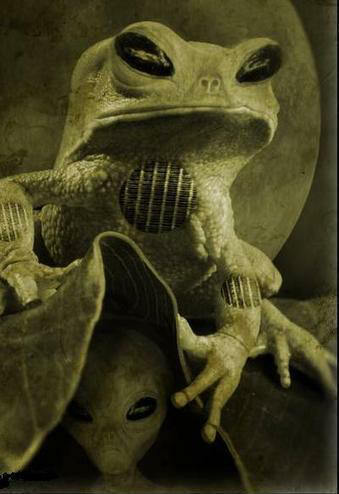 And some abductees already believe that humanity was genetically engineered by aliens that were here in Earth’s past. The foundation of these ideas is the Theory of Evolution. If people are deceived into thinking Abaddon is an “alien”, who was here in the past, this may be the grand finale of the Theory of Evolution, which has grown beyond a science theory, to be a faith-based religious system. In fact, it seems to be the best candidate out there for the “Strong Delusion” spoken of in 2 Thessalonians. 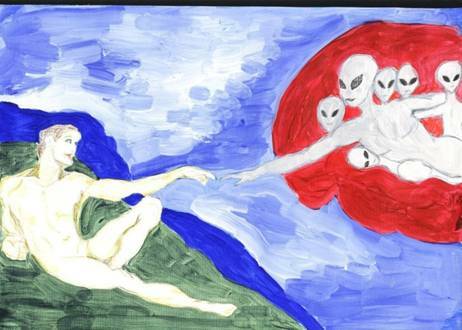 Could the Alien UFO Deception be the Strong Delusion of Bible Prophecy?